Glyph Bio - Criminals are a superstitious and cowardly lot, but sharks are not. In the event of a shark encounter, any self-respecting crime fighter should have a plan for how to put a little fear into the hearts of the oceanic predators. 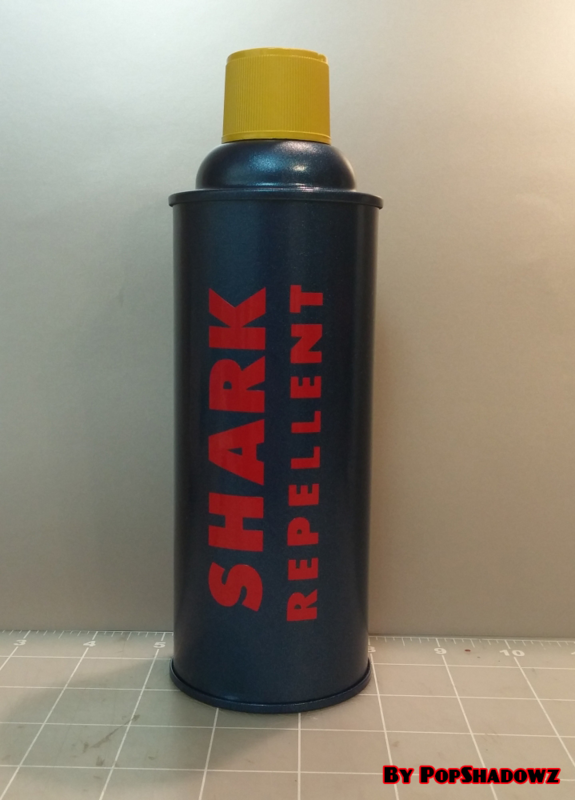 Shark Repellent is useful against Sharks. Before moving with this figure, you may destroy this glyph. If you do, you may choose any or all Sharks adjacent to this figure, one at a time. The player that controls that Shark must immediately move it up to 3 spaces. Sharks moved with this special power cannot end their movement adjacent to this figure and will take any leaving engagement attacks. Last edited by Ronin; March 13th, 2019 at 03:08 PM. Thanks for finding something to use here! Cards are up. I'll wait and propose Batman and all the EQ glyphs go on deck at the same time, just to keep things easy to track, but this one looks set to me. Glad we kept this glyph. It really makes his April Fool's inclusion. Not liking how large the objects are in this series of utility glyphs or the fact that they are covering the belt so much. Also this one doesn't look like it is partially buried (C3G glyph standard).